Fire is an element that is both creative and destructive. It signifies motion, brightness, and warmth. 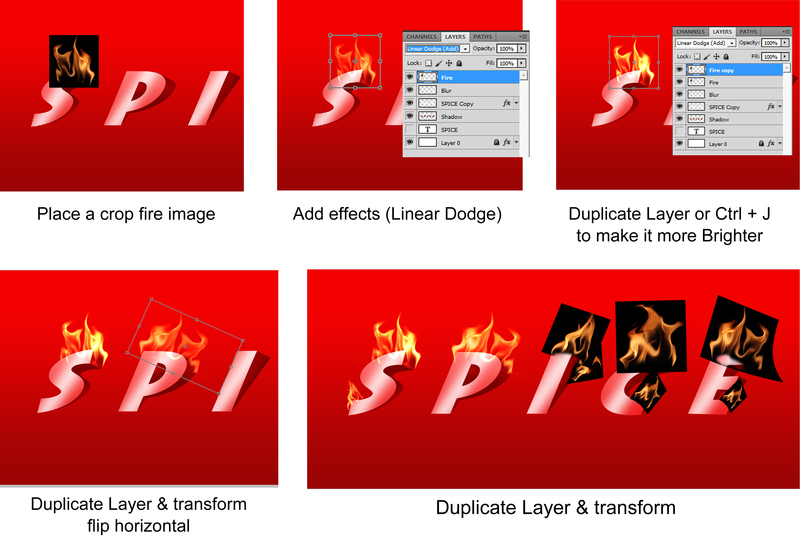 If you’re creating illustrations that need these qualities, this fire text effect tutorial will be really helpful. This tutorial by our graphic artist Romel Belga will teach you how to set your message on fire without burning yourself. Here are all the images you’ll be needing. First, create a new file (CTRL+N) and set your document size. We opted for a 9 x 4 inch banner. Make sure your resolution is 300 for printing but 72 is fine for web use. 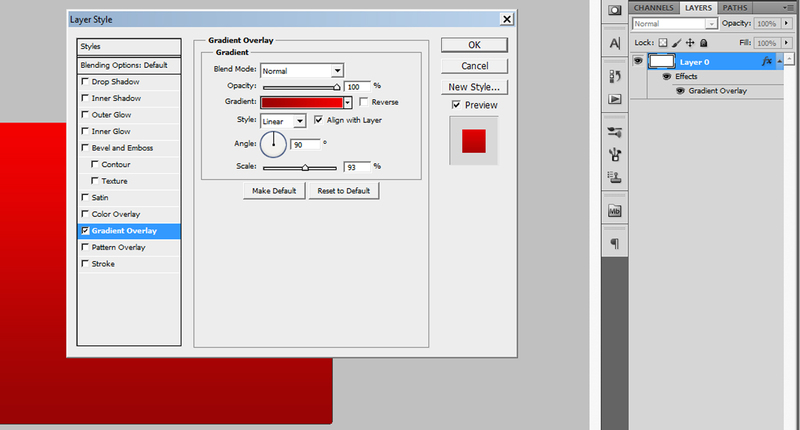 Since the background layer is locked, double click it to make it into an editable layer. By default, it will be named “Layer 0”. Click OK.
Layer 0 will serve as our gradient background. 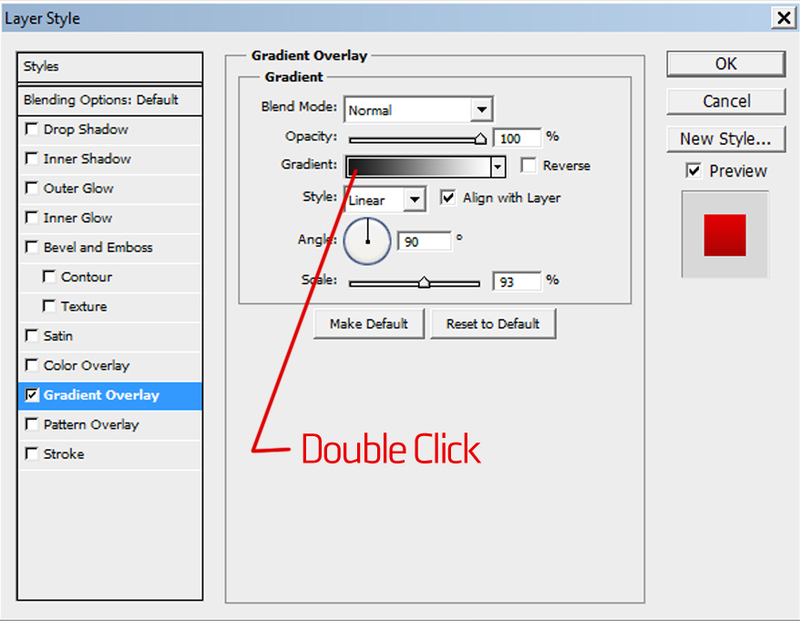 To achieve this, right click on the layer > Blending Options or simply double click the layer. You will see a Layer Style window. Tick the Gradient Overlay. Double click the gradient bar to change the color. For this project, we’re using a dark red and a lighter shade of red, but feel free to modify this to your liking. Your background should look close to this. 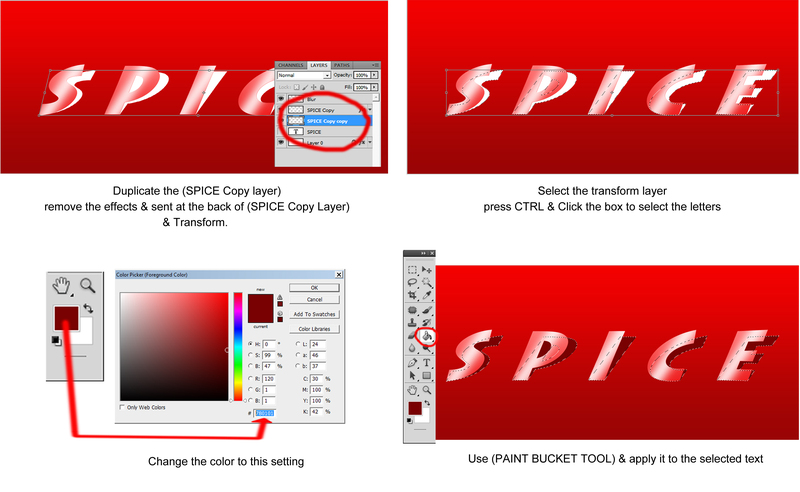 Create the text using the Type tool (T). Duplicate the layer. Hide the original layer and set it aside. Follow the simple instructions above to change the text style, or you can play around with the settings on your own. Don’t forget to rasterize the duplicate text layer (Layer > Rasterize > Type OR right click > Rasterize Type) before you can transform/distort it. 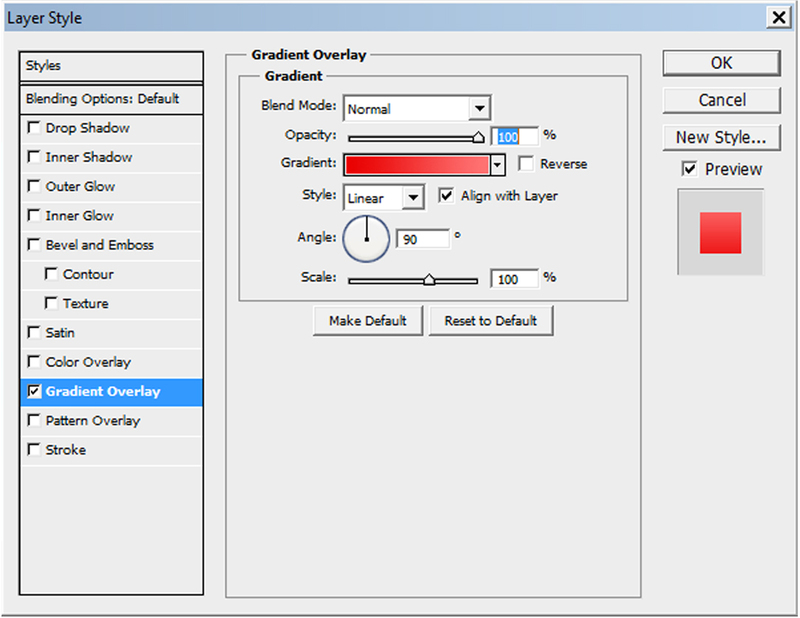 To transform the rasterized layer, click Edit >Transform and you’ll see different options. For this tutorial, we used the Skew option. Since we don’t want our text to simply be white, let’s add some character to it. 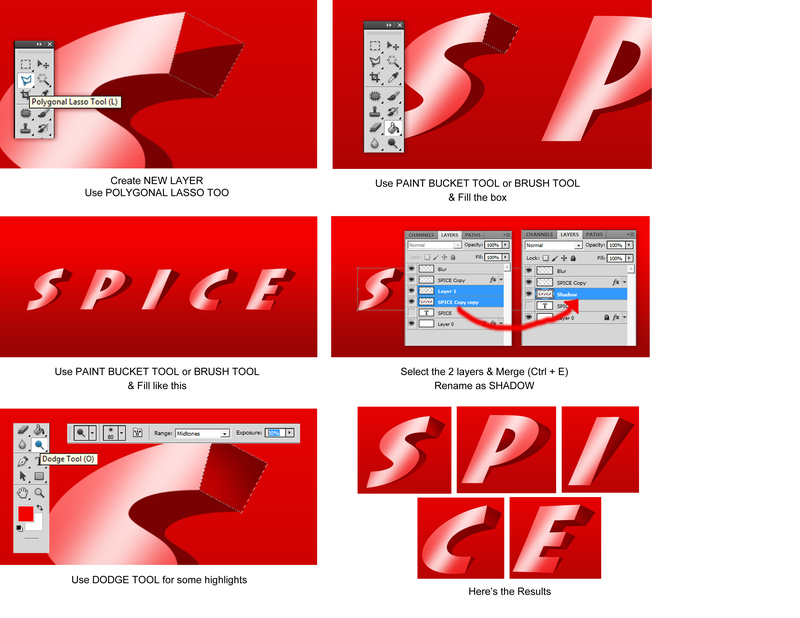 Right click on the type layer > Blending Options or simply double click the layer. You will see the Layer Style window. Let’s apply gradient the same way we did to our background. Make sure the color you choose is either lighter or darker but never too close to the background or else the text will be washed out. Now we’re about to make things a bit shinier. Create a new layer (CTRL+Shift+N). Using a hard circular brush, apply one diagonal white stroke over the first letter. Go to Filter > Blur > Gaussian Blur. Adjust the radius to 27 and lower the opacity. 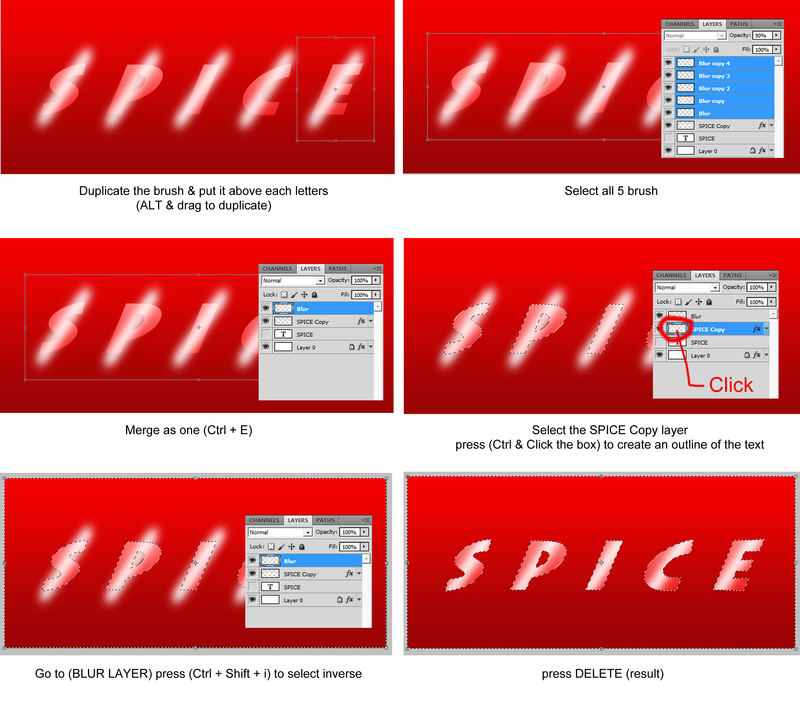 Duplicate the blurred layer and place one layer over each letter. Select all the blurred layers and merge (Select > Merge Layers). Select the type layer to create an outline of the text (CTRL + Click the box). Click the blur layer while the type layer is selected. Select inverse (CTRL+Shift+i). Press delete. This step removes the excess brush strokes leaving the masked version. It should look shiny like this. Let’s add depth! Instead of merely adding drop shadows, let’s do an advanced version. Duplicate the type layer and send it to the back of the shiny type layer. Transform the duplicate to make it look like a shadow. If your transformed shadow layer doesn’t quite fit, you have to manually close the letters to make them look like blocks. Create a new layer (CTRL+Shift+N). Select the Polygonal Lasso Tool (long press on Lasso tool > Polygonal). Draw shapes as if you’re closing the letters. Use the Dodge Tool (O) to manually place some highlights. Your letters should have depth by now. Now here’s the fun part. We’re finally adding the fire text effect. 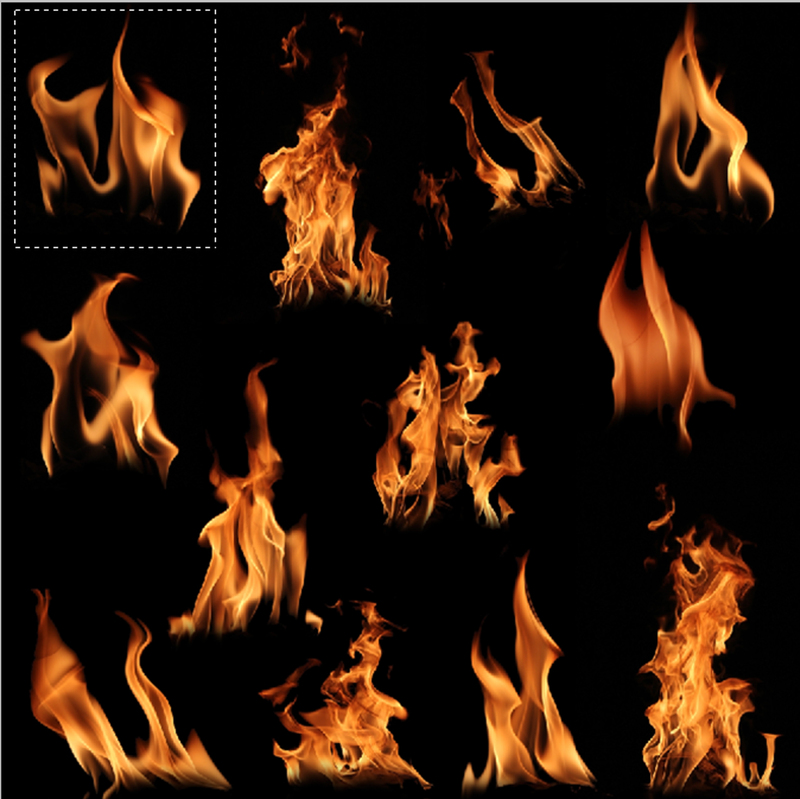 Using the provided fire image, select one flame using the rectangular marquee tool (M). Follow the easy steps above. Place the cropped fire image on top of the first letter. Apply Linear Dodge. You’ll see that the fire image will lose its black background. Go back to the provided fire image and crop out a different flame. Apply the same steps on all letters.